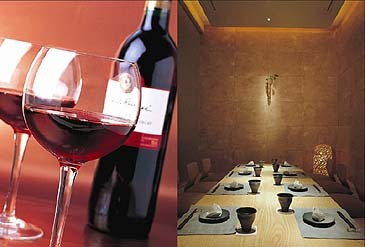 The Japanese Super Dining Restaurant at Novotel Ambassador Gangnam, SHUNMI (Summit of Taste) holds a special 'Wine Maker's Dinner' on March 30 with a special guest wine expert from one of the world's popular wine makers, Delicato. 'Delicato' is inarguably the fastest growing wine maker in USA headquartered in California. Better known as ‘The Perfect Wine for Real Life', the company was founded in 1924 and currently exporting its wine to 35 countries as the leading family vineyards in the country. The head chef of SHUNMI, Mr. Suk-do Hong is excitedly preparing a special wine dinner that goes perfect with the selection of wine from Delicato. The special 7-course fusion Japanese dinner features Duck Delicacies Sausage with Foie Gras, Tartare & consomme, Baked sea urchin souffle with royal, Eel & Scallop Sushi with Chef's special soft shell crab roll, Basil & Lime sherbet with Pomegranate, Bamboo shoot, mushroom, ginger, caramelized onions topping Layers of fried Yuba with seasonal vegetables and more. With wine becoming wide-spread among young gourmets, this special wine dinner will be a rare golden opportunity to experience the authentic wine dinner demonstrated by one of the world's famous popular wine experts. A quick reservation is recommended as the seats are limited to 80.